Campaigns - RANA - Refugees Are Not Alone ! 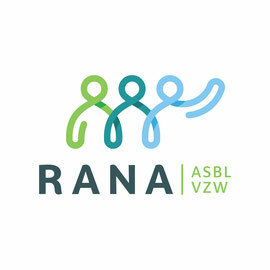 RANA’s very first campaign was launched on social media on 21 October 2016. 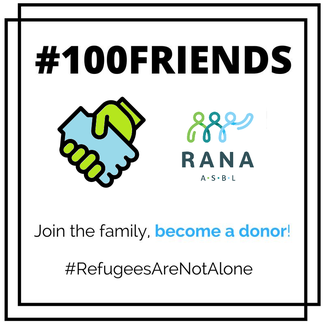 The aim is to raise funds and it is called #100 Friends (to help 100 refugees). If you would like to help us but don’t have the time to go into too much detail, this is the account number where you could make a contribution: BE67 9731 6312 0587. RANA is a great adventure in the making! We rely on people like you! Thank you – from the heart!